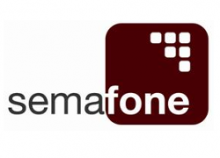 Semafone today announced that its software has been selected by Virgin Atlantic Airways (VAA) to protect card data provided by customers over the telephone. The secure voice solution will enable PCI compliant payment card payments throughout VAA’s contact centres worldwide. The Semafone solution allows customers to enter their own card details into their telephone keypad and passes these directly to the bank. The agent cannot see or hear the card numbers but remains on the call during the entry of payment data to offer assistance if needed. No card data is processed or stored on VAA’s telephony infrastructure or agent desktops, removing the need for the numerous checks and controls that would otherwise be needed to comply with PCI regulations.